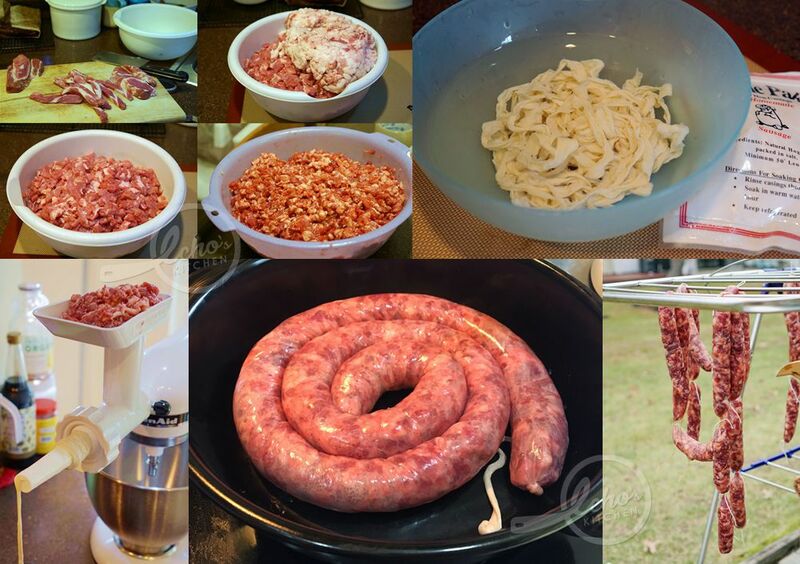 Lap Cheong or Chinese Waxed Sausage is a type of wind-dried, cured, dried meat sausages typically made/eaten during Chinese New Year, the flavour of Lap Cheong vary depending on the seasonings used. The Cantonese type of Lap Cheong I made this time have a sweet-savoury taste. These sausages are prepared quiet similar to other sausages. Pork together with pork fat is chopped or minced and seasoned, left marinated for days before stuffing into sausage casing and then left hung and to air dry out in a dry cool place for approximately 7-14 days depending on the weather.